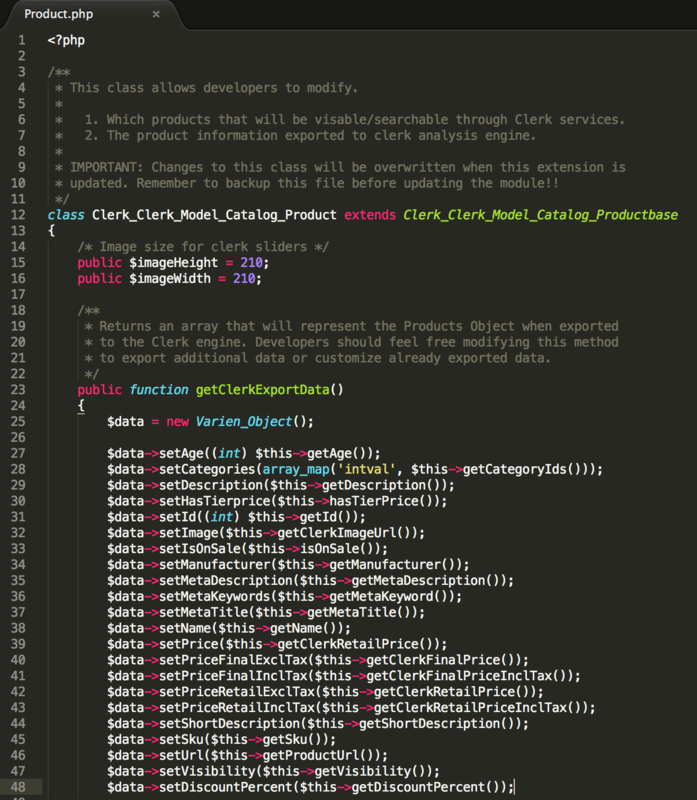 Product.php builds the product model, and lets you add simple attributes. 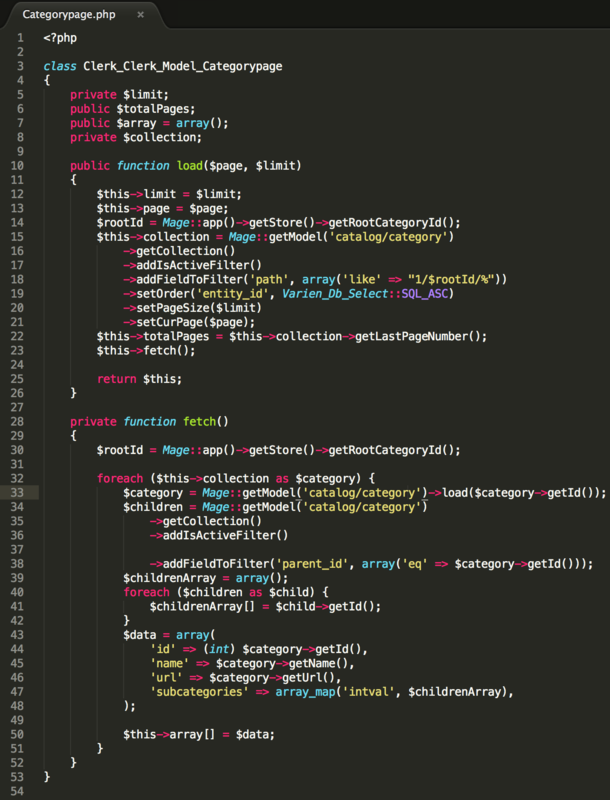 Productpage.php lets you create advanced logics for getting attributes, and use them in Product.php. Maybe you need to restructure category names, or remove specific categories from Clerk.io. This file handles which categories are included, and the data id, name, URL, and subcategories for each category. You cannot add extra data to each category, but you can modify what is being sent. The powerstep has a standard styling, but you might want to change it to mach your designs. powerpage.phtml contains the HTML for the page while powerpopup.phtml is for the popup. 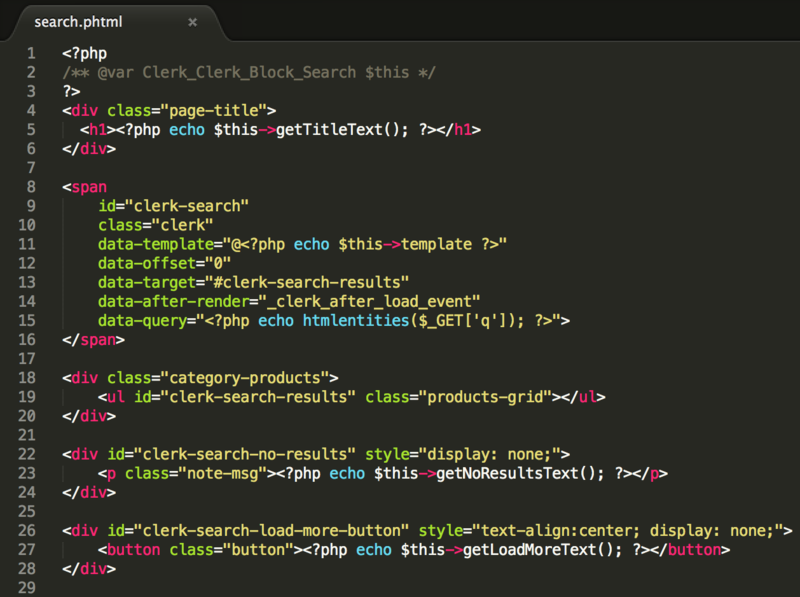 style.css contains the CSS for all parts of the Clerk.io extension, including the Powerstep. You can use these files to modify the look of the Powerstep. This lets you change the search embedcode, and other parts of the search page.